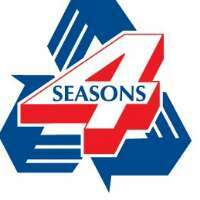 4 Seasons Home Insulation is located in West Gosford providing energy saving & sustainable products, insulating existing walls, flat roof & cathedral ceiling insulation, underfloor insulation. 4 Seasons Home Insulation has been established for nearly 20 years situated in West Gosford. Our core product 'Woolcell' is manufactured in Australia to the Australian and New Zealand Standard AS/NZ 4859.1 At 4 Seasons Home Insulation all cellulose materials and workmanship is covered by a full manufacturers warranty for the life of the structure in which it is placed. At 4 Seasons Home Insulation we're proud to have developed a product that is friendly on both the environment and your family... we call it WOOLCELL.